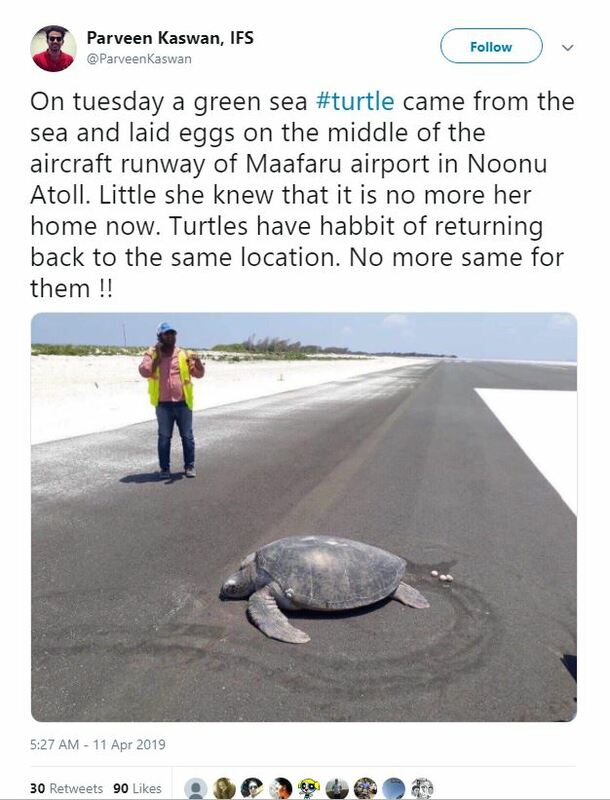 This heart-breaking image shows an endangered turtle return to land, to lay its egg, only to find the beach is now a runway. The green sea turtle was pictured trying to lay its offspring on a landing strip at Maafaru airport in Noonu Atoll, Maldives. Turtles return to the same spots to lay eggs and in the meantime the runway has been constructed confusing this mother. Despite the unfortunate circumstances, she is reportedly in good health and was released back into the ocean by locals, reports The Edition. 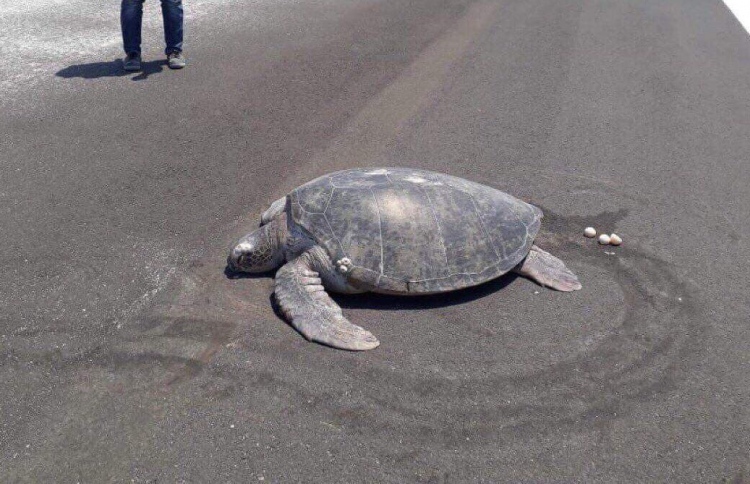 “Despite the construction of the runway, the frequency with which turtles visit the island for nesting purposes has not decreased,” a source from Maafaru Island Council reportedly claimed. Maafaru International Airport remains unfinished, but the project will eventually allow the atoll to house a hotel and resort. Maldives President Abdulla Yameen Abdul Gayoom has previously said the airport, valued at $60m (£46m), was a donation to the Maldives by the UAE. It is unknown how many other turtles may return to find their breeding grounds, which is now tarmac, and asks questions about the environmental sustainability of the tropical group of Islands, already threatened by rising sea levels.